Miscarriage of Justice, by Bruce A. Borders, is a well-written psychological study of two deeply flawed characters, Ethan Rafferty and Mariana Clark. Just released from prison, Ethan Rafferty’s only goal in life is to exact revenge upon the woman who put him there 16 years ago. Over those years he has dreamed about and planned out how he is going to make District Attorney Mariana Clark pay. Mariana doesn’t want to give up any of the ill gotten success she has accumulated over the years—success mostly due to falsely imprisoning Rafferty and destroying his life. Consequently, she is prepared to endure whatever he can dish out. It’s hard to fathom someone as ruthless and despicable as Mariana Clark, but author Bruce Borders skillfully draws her character as one that is thoroughly without remorse. Rafferty is so driven toward revenge that he doesn’t even care if it lands him back in jail. 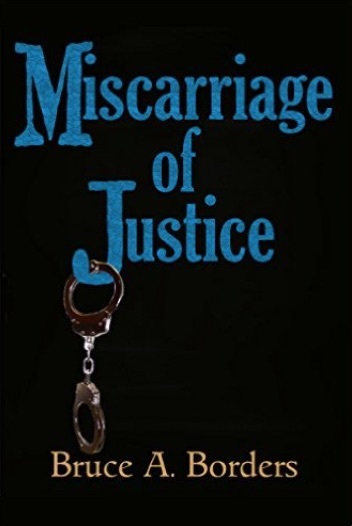 Miscarriage of Justice was a different kind of read for me. I’m usually able to identify or empathize with at least one of a story’s characters, but both of these characters stubbornly rushed toward a finale that I kept waiting for one of them to stop. A good read. A totally unexpected ending.